Have you ever wanted to improve the appearance of your smile? 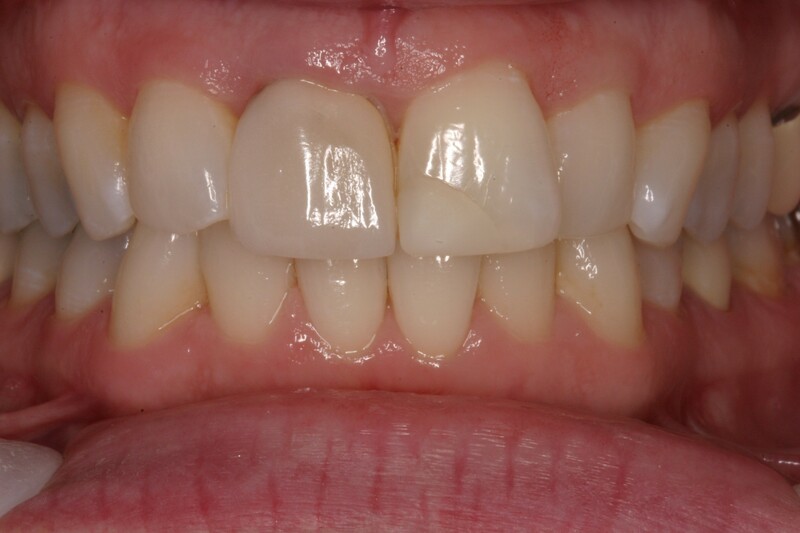 Do you have chipped or worn teeth? 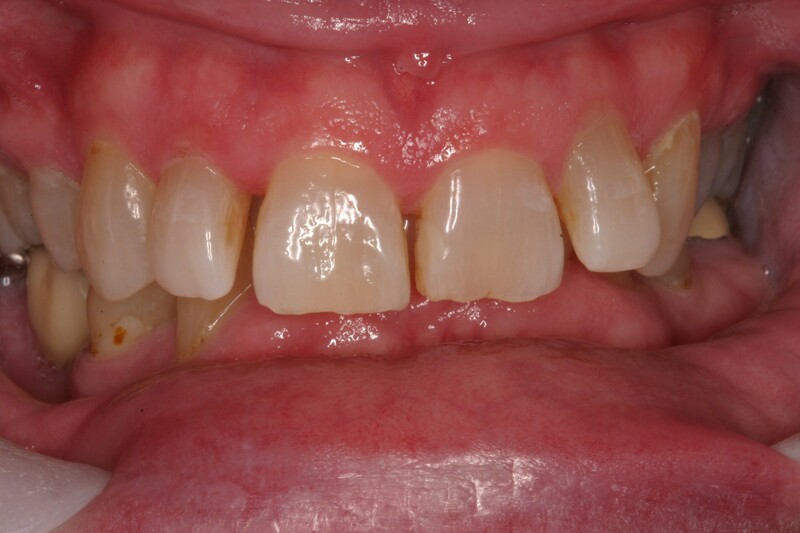 Are there old discolored fillings effecting your smile? If you answered yes to any of the above questions, you may benefit from Appeal Veneers! Appeal Veneers are handcrafted by the artisans at Centric Laboratory and are custom made to fit your smile and complexon. Veneers usually take three appointments. At the first appointment, we take preliminary records (any radiographs if necessary, study models, and photographs) of your teeth. We have Centric Lab make a diagnositc wax-up of your veeners which we use to make your test-drive temporaries. 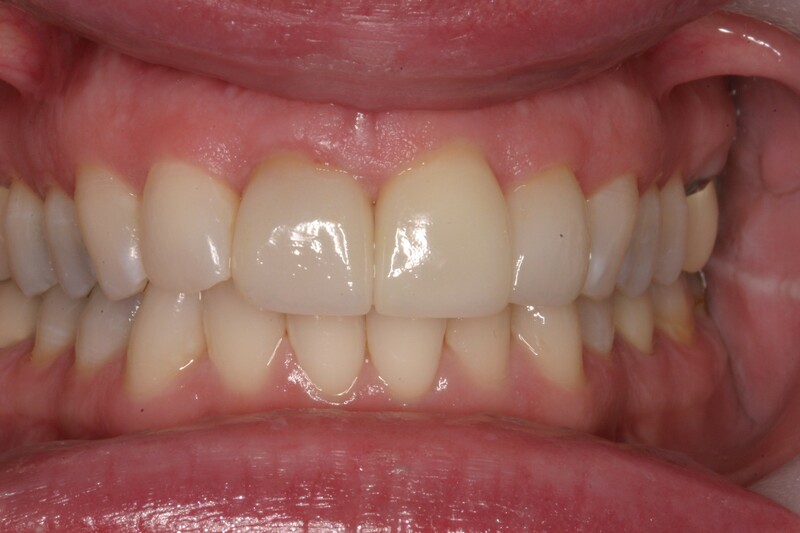 At the second appointment, we prepare you teeth and we work hard to make your temporaries which will resemble the final veneers so you can see and feel the changes we are making. It is very simple to change the tempories to overcome any problems which may arrise. At the final appointment, we cement the final veneers in place. she wished to correct using Appeal Veneers. temporaries which the patient wore for three weeks. all of the patient's expectations! the left which was tilted in. 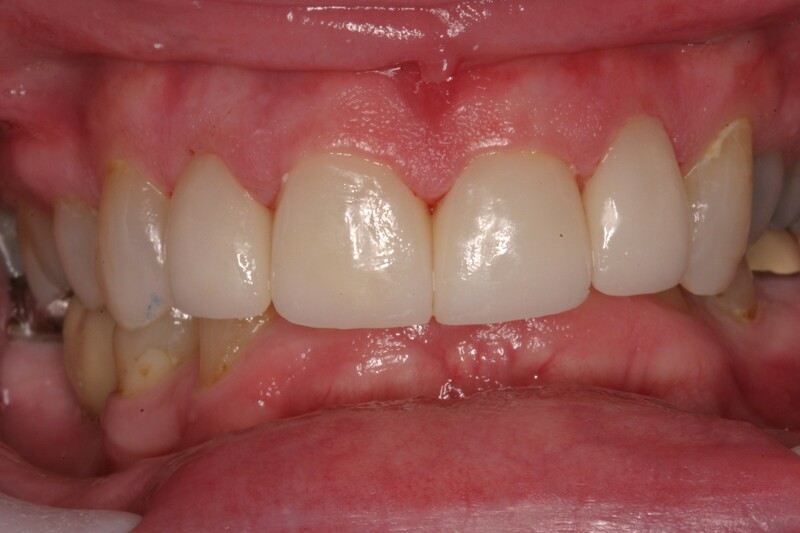 Here is the after picture of the above patient.